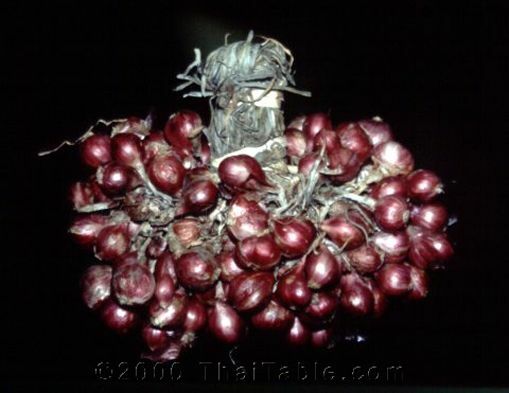 In Thai cooking, shallots are like garlic's counterpart - it is used about as frequently as garlic. It is always in curry paste and is sometimes eaten as a condiment, swimming in fish sauce. When shallots are harvested and available at a good price, my mother likes to buy kilos, stocking up for the whole year!